Each month MIMS makes up to 150 changes to the PIs and CMIs which are seamlessly available in our digital products. This electronic update provides a snapshot of the most important changes along with relevant information from the MIMS Managing Editor. Read the October 2016 MIMS Monthly Update Newsletter. The new electronic edition of The Women's Pregnancy and Breastfeeding Medicines Guide (PBMG) has been added to CKN. Produced by the Royal Women’s Hospital, Melbourne (The Women’s), this quick reference guide for healthcare professionals provides practical and unbiased specialised information on medicine use in pregnancy and breastfeeding. Each month MIMS makes up to 150 changes to the PIs and CMIs which are seamlessly available in our digital products. This electronic update provides a snapshot of the most important changes along with relevant information from the MIMS Managing Editor. Read the September 2016 MIMS Monthly Update Newsletter. The Palliative Care guidelines have been extensively revised by the expert writing group for this edition. A number of new topics have been included to provide holistic advice on the principles of palliative care, and detail on specific symptom management at the end of life. The guidelines highlight that a palliative approach to care can be adopted by any healthcare provider and applied to any patient with life-limiting illness, including those with malignant or nonmalignant conditions. 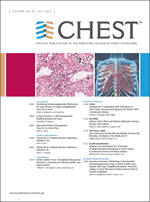 CKN users now have Full Text access to CHEST, the official monthly journal of the American College of Chest Physicians. For many people Internet Explorer 10 (IE10) is now their default web browser after the Queensland Health upgrade to Windows 7. There is a problem though with how IE10 can display the CKN site. Built into Internet Explorer is a function called Compatibility View. This is a Microsoft feature that was intended to help better display older webpages that were designed for previous versions of Internet Explorer. However Compatibility View is problematic and can actually create problems for websites, such as CKN, that were designed for modern browsers. It can cause a properly functioning website to display as if it was on an old, obsolete version of Internet Explorer. We have noted that IE10 Compatibility View can render the CKN site as if it was on Internet Explorer 7 (IE7). Microsoft ceased support for Internet Explorer 7 in January 2015, and the CKN website was not designed to work with this obsolete browser. ClinicalTrials.gov provides easy access to information on publicly and privately supported clinical studies on a wide range of diseases and conditions. Maintained by the National Library of Medicine at the National Institutes of Health this information is provided and updated by the sponsor or principal investigator of the clinical study. All EDS customers can search more than 208,000 open-access studies. In view of the global concern over the outbreak of the Zika virus, both EBSCO (DynaMed Plus) and Elsevier (The Lancet) have provided information and clinical evidence about the virus, which is of particular importance given the potential risks for Queensland. EBSCO has made available free access to a comprehensive summary of the clinical evidence related to Zika virus in DynaMed Plus. In view of the global concern over the outbreak of the Zika virus, both Elsevier and The Lancet have created a Zika Virus Resource Center on Elsevier Connect with the latest updates, research, reviews, editorials, correspondence and commentary to help healthcare professionals, medical researchers, policy makers, the media and members of the public better understand the outbreak. The info center is advised by clinicians and professional editors and will be continually updated with the most current research and evidence-based information available.